#29, 2nd Floor, G.V.R Plaza, Near Baptist Hospital, Bellary Main Road, Hebbal, Bengaluru - 560024, Karnataka, India. We truly believe that one must always start with WHY. 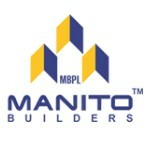 When Manito was born, we asked ourselves "WHY do we do what we do?" The answer was simple: We want to change lives. The emotion of having created an edifice or a living space for a family to nurture, spring and grow in our presence was intoxicating. We set out to forge this reality by following a very simple rule: YOU come first. What the client wants is what he gets. This central tenet resonates throughout our organization from our valued on-site workforce to our leadership.